So now on to another six on saturday. 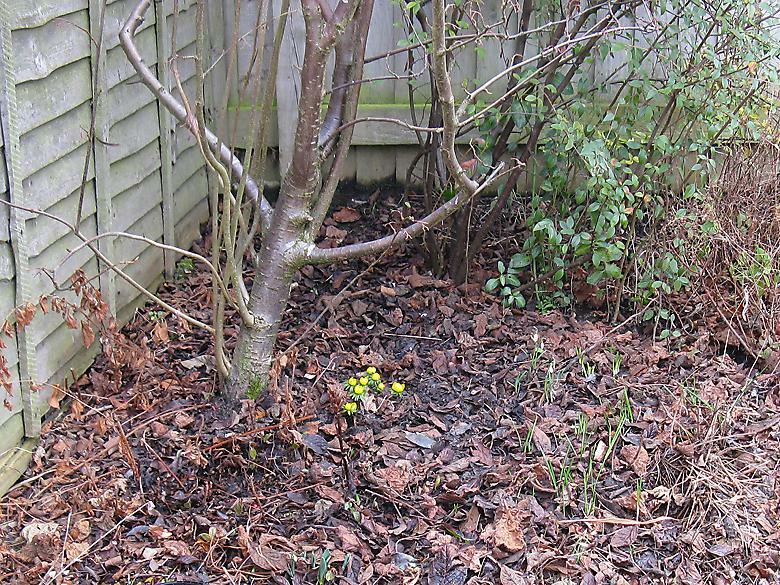 So its a tiny area with a deciduous Cotoneaster as the only 'tree', but in my imagination it is going to be covered in snowdrops, crocuses, bluebells and other spring flowers. However the resident blackbird seems not to share this vision. There must be a lot to eat here as he spends most of the day grabbing the leaves and throwing them far and wide. Sometimes he grabs a young plant along with the leaves and yanks it out of the ground. I've been collecting the uplifted bulbs and re-planting them on the other side of the garden. A closer look at the Winter Aconites that I planted last week. The blackbird chopped some of this off which I have now planted on the other side of the garden. 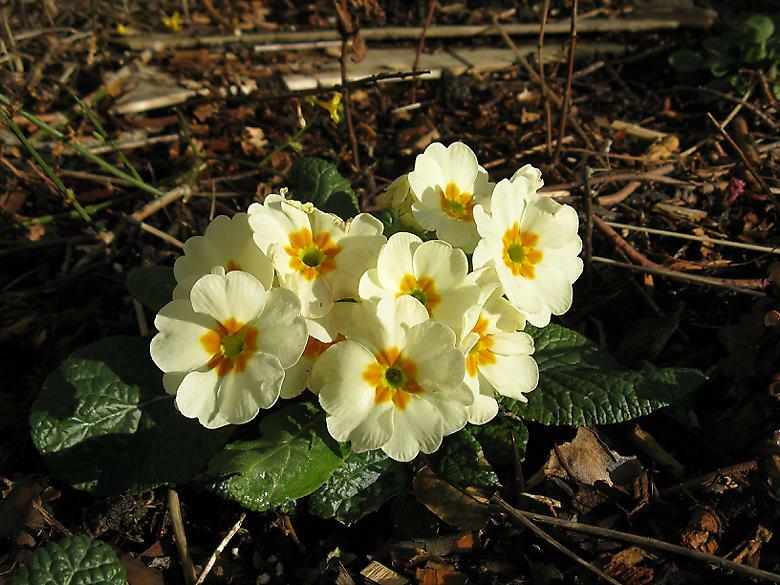 I like all my primroses, but its difficult to beat this one with close to the natural flower colour. Just outside the back door, I like this little grouping of flowers. Later it will be joined by some tulips. Shown last week in its pot - it is now planted at the back in the right hand corner. 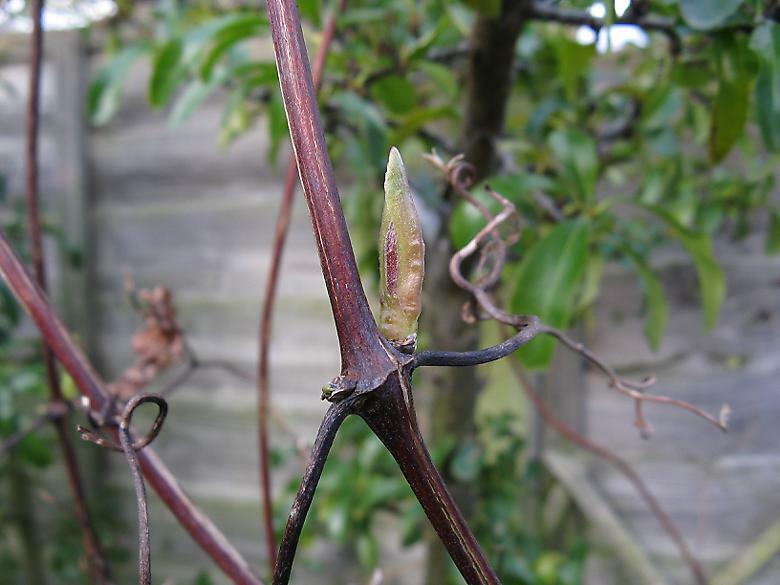 This one flowers in July but already has buds, unlike my spring flowering one which is doing very little so far. It grows through the Pyracantha.